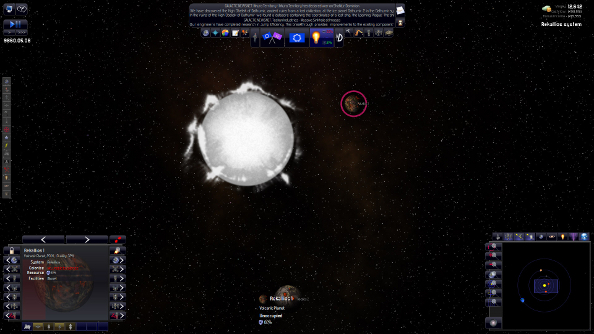 Distant Worlds: Universe looks like a 4X game, but it wears many masks. It has a whole closet filled with them. 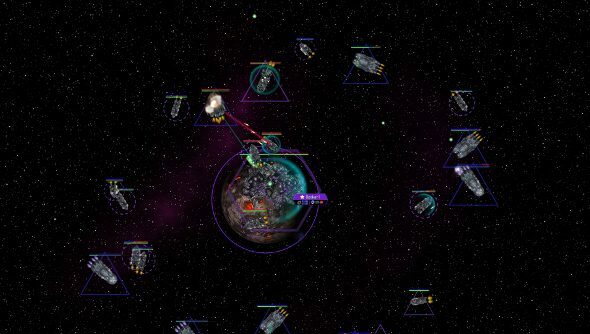 On Monday, it might be an RTS or a wargame, where you command enormous armadas of space faring battleships against alien hordes. On Tuesday, it could transform into a game of exploration and adventure, where you’re the captain of a single ship, charting the galaxy and delving into ancient ruins. The rest of the week could see you stepping into the shoes of politicians, spies or even an emperor. Each mask is informed by the pillars of the 4X genre, but with Universe – which includes the base game and every Distant Worlds expansion – the title is pretty representative of the scale. It’s huge. So there’s an unparalleled amount of diversity and depth. While traditional 4X games give you the reins of an empire, Distant Worlds lets you pick what role you’ll have in said empire. But by Friday, you might be confident enough to control everything. And then you’ll never know peace, because there will be 20 things needing your attention every minute. It’s glorious. I played the original Distant Worlds back in 2010, but I missed the expansions and, by the time I fired up Distant Worlds: Universe, I had forgotten so much and had a mountain of new things to learn. So I ease into the huge galactic simulation by just being the captain of a scout ship. This isn’t just one of the best ways to start a journey through Distant Worlds because it’s easier, letting you focus on a single object, it’s also an excellent way to see how tight the simulation is. Everything can be automated – to the point where there’s not a single thing you need to do. That defeats the purpose of having an empire at your fingertips, of course. You wouldn’t want to automate the whole game. But it means that there isn’t a single thing you can’t let the AI take off your shoulders should you find it too taxing or simply not much fun. The AI can handle this without a problem, too. Far better than I, when I was first getting my space legs. It needs to be able to, because even with automation off, elements of the empire remain under AI control: namely everything that’s not part of the state. When scouts for the empire find new worlds, moons and gas giants, private companies start trading the goods mined there, and they go across the empire, even across borders, in the name of profit. 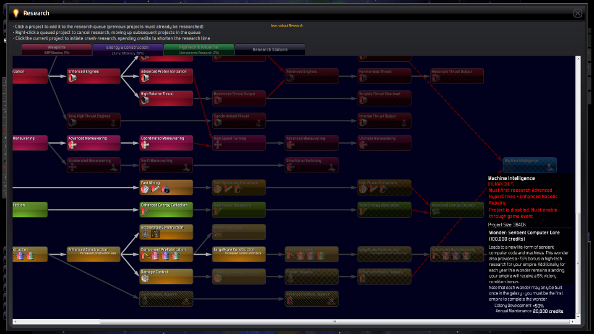 I might have been a mess, unable to even make head nor tails of the economic menus, but the AI had its stuff together. So I’m a starship captain. I let the AI handle research, production of ships and buildings, the economy – everything apart from this little scout ship. The fun we have, my crew and I. We discover a temple of an unknown species, flee from a space monster we awaken near an ancient sun, play a game of cat and mouse with a pirate and plant our flag countless worlds. The whole time my empire is growing, colonising new planets, sending out expeditions and starting diplomatic relationships with alien races. I’m still affecting the galaxy around me, too. An illegal border crossing could create a diplomatic incident, a newly discovered planet could become a colony, first contact with aliens might develop into friendship and an alliance, or war. And the more I influence the galaxy, the more control I wanted. I move up from automation to delegation. 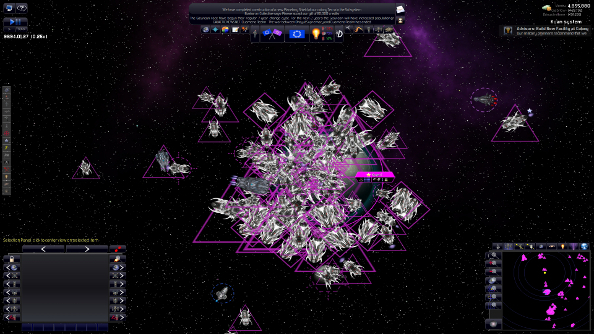 The scout’s been ditched, but I’m still exploring, cutting across the galaxy in a flashy new ship of my own design. I’m getting more involved in my empire, though. I fiddle with the options to ensure that whenever a military, research, diplomatic and countless other decisions had been made, I’m the one giving the final command. My minions come to me with their plans – sending spies to other empires, making trade agreements – and I let them go ahead or tell them their plans are awful and they should be ashamed. And the cycle continues. I do this for a while, then take more features off automation, then started dabbling in complete control of specific systems, and before I know it, I’m running most of the show. It’s an elegant solution to high bar for entry that such a complex game creates. It subtly encourages players to take more control while still providing plenty of options to create a less hands-on version of the game. While a great way to ease into the game, there’s nothing stopping a brand new player from diving in headfirst, manipulating every aspect of the game, ignoring automation entirely. It would just be so much harder. Fortunately there are plenty of resources to assist the ambitious, from the in-game compendium of knowledge, to the helpful forums. Having all this power and influence doesn’t mean non-stop parties and buckets of cash. It means sleepless nights; staying up until 4 AM dealing with pirate raids on traders, halting production because valuable resources aren’t making it back to the industries that need them; forcing your eyes open because the burgeoning tourist world of Talisea 3 is surrounded by space scorpions; shutting out the sunrise behind thick curtains because the light is a distraction and there’s an important trade deal that needs to be made. It’s more than one more turn syndrome, since it’s a real-time simulation that doesn’t let go. It’s gripping, if exhausting, always throwing something at you to make you second-guess your decision to call it a night. Since it’s constantly evolving, there’s no comfortable break where you can just stop playing. That’s why it’s so important to have the freedom to craft the game into something more manageable. There are times where it’s just not possible to continue to be awake when the birds start chirping incessantly outside. Code Force doesn’t just let Distant Worlds: Universe’s would-be rulers choose how much they interact with the multitude of systems that make up the vast simulation; it lets everyone form their own galaxy. 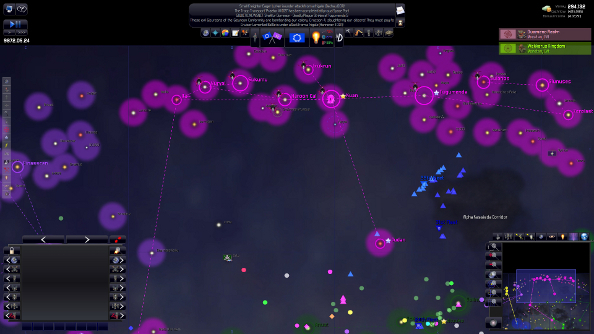 There are 22 races to choose from and customise, galaxies that range from tiny to ones that contain 50,000 worlds, different eras with different narratives, sliders that allow you to tweak everything from pirate aggression to the prevalence of colonisable planets. It’s possible to set up a game in a small arena where you’re just duking it out with massive fleets or one where you’re playing as a pirate faction, preying on galactic empires. Distant Worlds will automatically craft a galaxy if you want to give up control, but it’s at its best as a facilitator, giving you the options so you can create your own, distinct, experience. Universe introduces greater customisation and opens new doors by making almost everything moddable. From art and sound effects to the interface and ship components – it can be changed or replaced. The game comes with a modding guide which, at 99 pages long, is appropriately massive. The new storyline that Universe adds was actually made using the customisation and modding tools. The plethora of ways Distant Worlds allows players to curate and craft their own version of the game makes its few missteps forgivable. The interface is hideous, if functional; the art is rudimentary, though the race portraits have a lot of character; and the storylines are pretty forgettable. But all of those things can be removed or altered, and they never really get in the way of managing and exploring these detailed simulated galaxies. 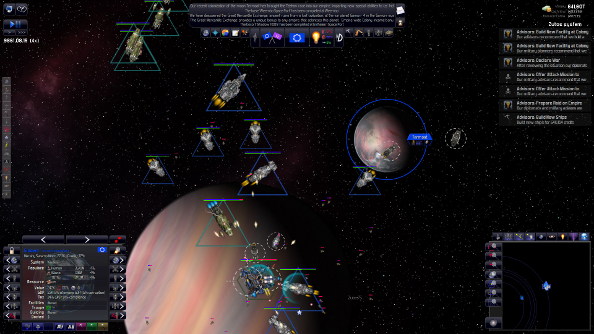 Distant Worlds: Universe is an exceedingly complex, infinitely rewarding space strategy game. It’s made me more excited about the genre than any other game of its kind since Galactic Civilizations II. All of those numbers and systems that hold the simulation together create these dramatic stories, ones about gallant captains constantly pushing back the frontier, races under the thumb of pirates rising up and taking back their independence and wars between empires that spread throughout the galaxy like wildfire. I’m going back in now.